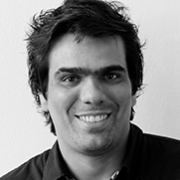 Daniel is a Brazilian creative director with experience in advertising and developing branding communication strategies. Projects he has worked on include building brands for different industries, developing integrated communication campaigns and leading teams through a creative process in local and global projects. Daniel holds a BA in Advertising & Marketing and has specialised in Communication Planning at the Miami Ad School.